What Are The Advantages to Avoiding Divorce Court? 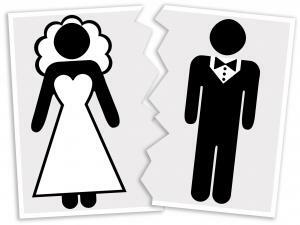 Divorce court is an often unpleasant, always expensive experience, and for the longest time couples tended to assume it was one they simply had to deal with if they were going to end their marriage. Agency. At Split Simple, we don't make decisions for you- we work with you and your spouse to find solutions that are right for you. You get to play a role in the decisions that will affect the rest of your life. Money. Our pricing is completely up-front and transparent, and we know that we'll save you money in the long run in comparison to a lengthy trip through the divorce courts. Your children. Statistics show that children of families who divorced through mediation have better outcomes than children of parents who went through a traditional courtroom divorce. Keeping emotions in check. Our mediation system is designed to ensure that sessions are kept on-task and productive. We don't let the raw emotions of a divorce interfere with the important decisions that have to be made. Put simply, we're convinced that mediation can work for anyone. If you're considering a divorce, consider mediation first. You'll be glad you did. If you're worried about the time and money required to go through a divorce court in the Denver, Colorado area, mediation might be right for you. Please call Split Simple today at 855-665-9920 for a free consultation.